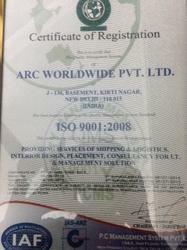 Incorporated in the year 2012, we "ARC Worldwide (p).ltd. 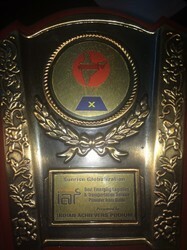 ", are one of the distinguished ISO 9001:2008 certified providers of Import and Export Services. Our service spectrum encompasses Custom Clearing Services, Shipping and Logistics Solutions and Freight & Forwarding Services that are vastly admired and accepted for their supreme reliability, feasibility, flexibility, standardization and cost-effectiveness. All our services are carried out in accordance with the different client demands. We are fair in our business practices and engage in ethical dealings only. At our company, we have recruited an efficient team of skilled and experienced professionals, who ensure that all the products are delivered on time and safe to the respective patrons. All our professionals are proficient in their respective fields and strive to complete all the diversified requirements of our patrons within their budget range. Owing to the undivided determination and hard work, we have earned huge appreciation and a vast number of clients in the field. Being a client-centric organization, we pay huge attention towards the attainment of complete client satisfaction, by proffering services with utmost safety and precision. Our global presence has reached the markets of Hong Kong, China, USA, Thailand and Qatar. We are enjoying an unmatched position in the industry, under the incomparable leadership of Mr. Amrit Pal Singh. Consistent motivation, magnificent industry experience and knowledge of our mentor have inspired us to attain our organizational goals with more enthusiasm. Manufacturing and Trading for Event management, Interior designing etc. ARC Worldwide (p).ltd. is one of the prominent names in the industry that provide flexible services at cost-effective prices. Owing to the feasibility of services, our clients place immense trust in our abilities and depend upon us for meeting their diversified requirements. We are a financially stable, client-centric company that is involved in fair and ethical business dealings only. Our company has successfully expanded its name in the market worldwide in the past service years. We are among the eminent service providers that involve in proffering Import and Export Services. Our services are massively appreciated in the industry for their reliability and cost-effectiveness. Being in this domain for the past few years, we have gained a large number of clients with our determination to offer flawless services. Furthermore, the consistent hard work of our team has successfully enabled us to expand our presence out of India, which is in the markets of Hong Kong, Thailand, China, USA, and Qatar. At our company, we are backed by a team of experienced and skilled professionals, who are hired on the grounds of their years of industry experience and market knowledge. Our workforce works in co-ordination with each other and strives to deliver the best possible. Due to the constant dedication and undivided determination of our professionals, we have garnered a long list of customers in the market. We are the favored choice in the industry and wish to be the same in future.